During the 1950s, Charles Borden of the University of British Columbia organized a series of archaeological digs at c̓əsnaʔəm (the Marpole midden) when the site was threatened by urban development.” Courtesy Museum of Vancouver. In 1884, an amendment to the Canadian Indian Act made the potlatch illegal. An important facet of Native society, the potlatch was a complicated social event that established orders of power among the higher ranks of their society via the process of giving away objects as gifts. While hardly the most brutal transgression against Native people on the North American continent, this particular event is an important marker in the evolving relationship of how the larger white culture has viewed Native objects. An exhibition at the Museum of Vancouver in British Columbia, c̓əsnaʔəm, the city before the city, attempts to take that evolution in a new, more positive direction. c̓əsnaʔəm was, and is, a village on the banks of the Frasier River, in what is now greater Vancouver, BC. In the process of settling the land and pushing off the Native people, The Vancouver City Museum (now known as the Museum of Vancouver) led excavations of c̓əsnaʔəm, referring to the area as the “Frasier Midden.” In anthropological terms, “midden” means refuse pile. Because of the number of objects found buried in the area, the anthropologists had decided that this was a “ruins” of a town, and now no more than the trash heap of a “vanished race,” ignoring the fact that the people had not vanished at all, but instead were pushed off the land onto reservations. Thousands of objects were taken, including human remains, and many were destroyed in the process. 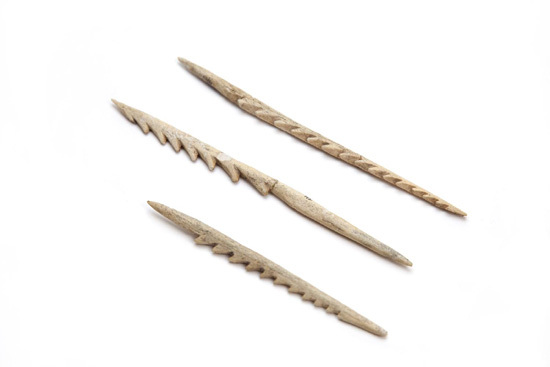 These objects were tools, and other objects of extreme cultural significance. But they were now reduced to mere curios or artefacts, and displayed in museums alongside overly racist theories justifying the death of a society as the result of evolution. Today, the museum is reconnecting these objects with the culture they were taken from, as the Musqueam people attempt to reacquire the land of c̓əsnaʔəm. Vancouver is a center of Native art, but that has its own problematic history. In an art gallery, as art objects for sale, Native art pieces often benefit Native artists, but also become items of fetishization, evidence of exactly that “lost culture” narrative that worked hand in hand with the theft of objects for the purposes of anthropology. At the city before the city exhibit, accompanying text explains the importance of naming the objects on display, or not naming them–the words for these objects have the power of associating the objects with their users. If that connection has been lost, the object should not be named. Not all the objects are on display either–and their absence is noted. Looking at the objects in the exhibit, one can feel a sense of their evolution. They are objects produced from nature–made of stone, bone, and wood. Looking at them from a distance, one might see only rocks. Anthropologists of a century ago saw relics, garbage that had been discarded. Natives, on the other hand, see evidence of the life that was stolen from them. 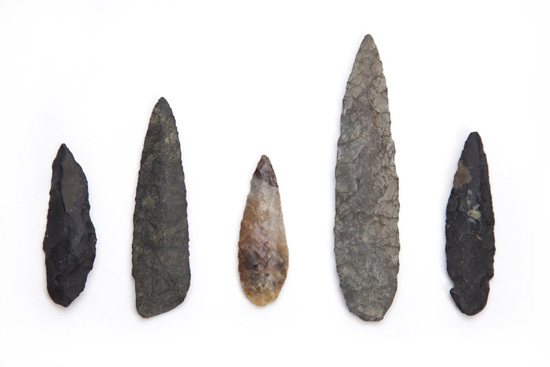 These are not just tools that they used, but the cultural memory of crimes committed. In laws like the 1884 Indian Act amendment, their very connection with the objects of their lives was distorted, removed, and criminalized. Today, by taking part in exhibitions like these, adding their memories, thoughts, and feelings to the interpretation of these objects, their shape takes on new meaning. The scratches of use become historical furrows, of lines drawn through history between people, and across the land. The ergonomic shape where hands held the objects become significant, for the hands no longer grasping them. All around is the sign of things missing–names lost, owners unknown, items hidden from view as a way of restoring a semblance of control over them. Any culture is constructed from its many physical objects, and the look of those objects is ultimately related to their history–whether it is specifically designed, or whether it is only a missing piece: a sign of what has been lost and stolen.